Logins this hour: 6732 ? 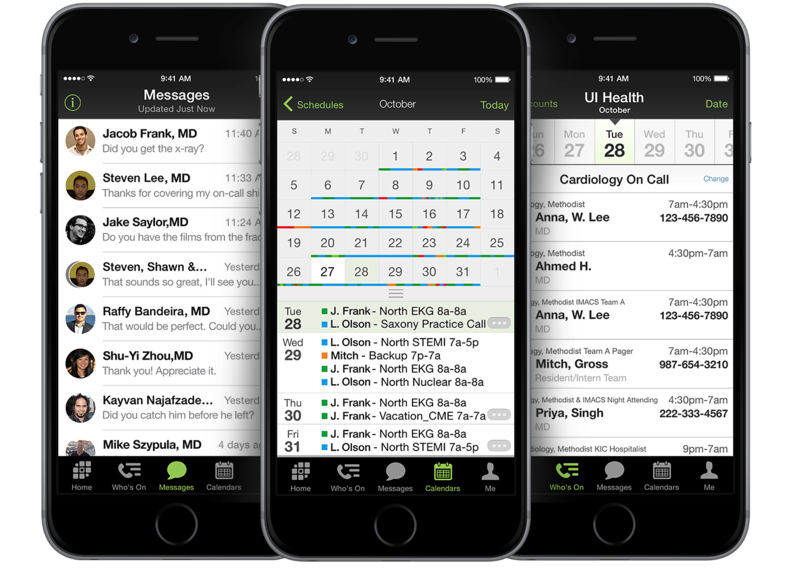 The Alter Ego box in OnCall allows you to link two Amion personal schedules together as one. An alter ego is helpful if you have the same person entered in OnCall under two different staff types. Or if you have a person belonging to another Amion schedule. If using the resident schedule platform, open your block schedule and select the person's name on the left-hand side. If using the attending schedule platform, select the person's name appearing in the schedule. Or, go to the Work Preference page and select the person from the infobox window. In the menu bar along the top, select Window then Alter Ego. The Alter Ego box opens. In the header of the box, you'll see the selected person's name. 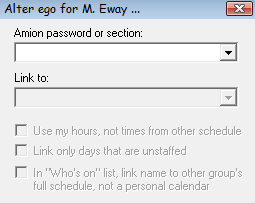 To link the person to another person in the same schedule, click the drop-down selector box and select the alter ego name. To link the person to another person belonging to a different Amion schedule, click the Link to another schedule button. In the first drop-down selector box, enter the staff password to the other Amion schedule. Then select the person's name from the second drop-down selector box. The two person's schedules are now linked together at Amion. Close the Alter Ego box and publish to Amion to save changes. Here we discuss link. This page describes alter.